Yesterday me and Mandy realized that the trip to London left one day before (friday) when we thought it was on saturday! So we missed the whole trip and get no money back.. No London for us.. Really confusing since the date on the ticket said the 11th.. 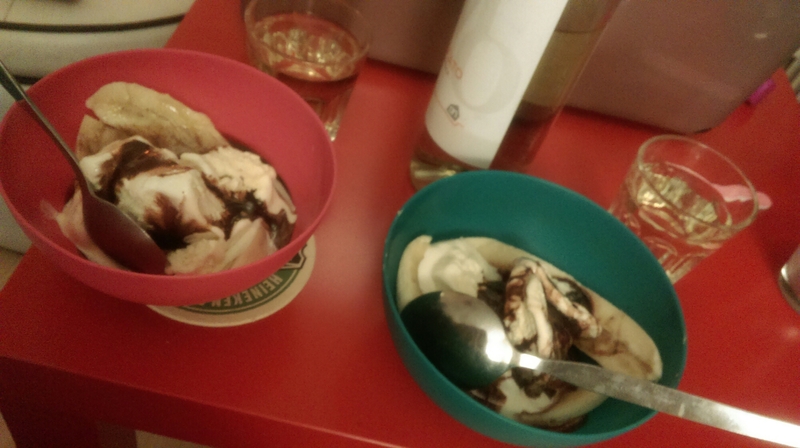 However we made it up by going out for dinner, drinking wine and eating home-made bananasplit and watching the Oc. Today we’re going to Eindhoven to shop til we drop! < Previous One more try!